Girl, look fire by the pool in this maxi beach skirt. 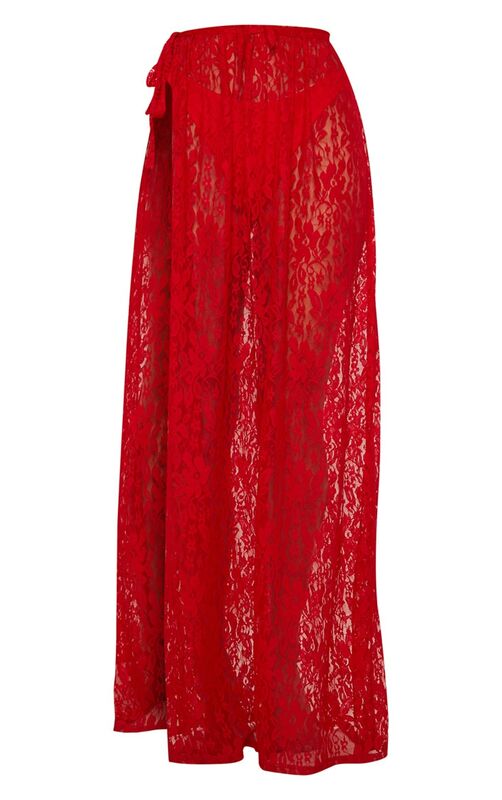 Featuring a red lace material, maxi length and tie side design. Team with a red bikini top or crop and your fave wedges for a pool party look we're loving.